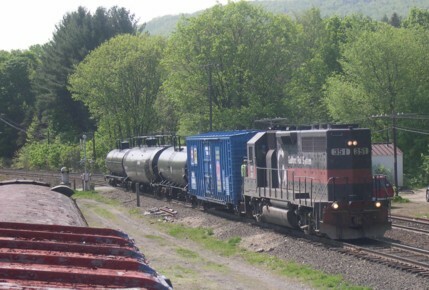 GRS 351 on EDWJ brought the train up from West Springfield. 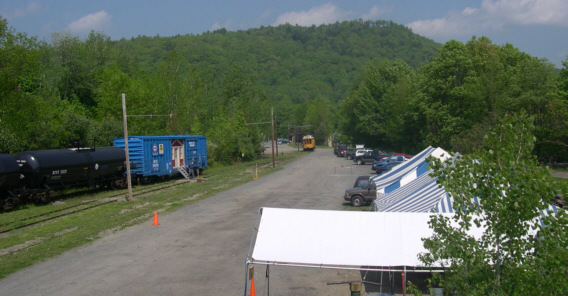 “Train Safe 2004,” an Emergency Preparedness and Public Safety Exposition was held at the Buckland Railroad Yard/Shelburne Falls Trolley Museum on Sunday May 16th from noon until 4 PM. 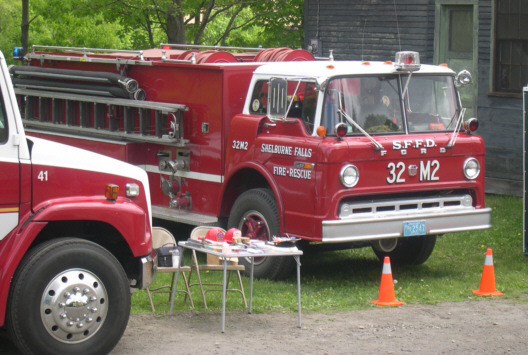 The Public Safety Exposition featured a variety of safety groups who had displays open for viewing by the public. 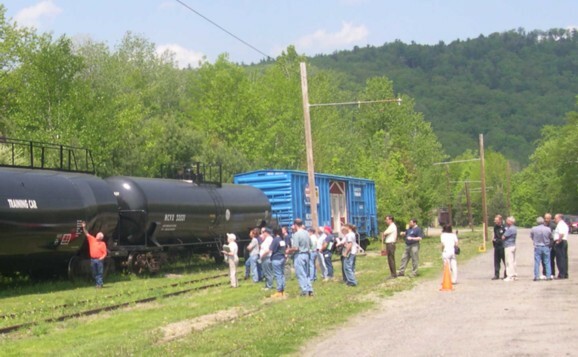 “Train Safe 2004” featured a visit to the Buckland Rail yard from the Firefighters Education and Training Foundation’s Safety Train. 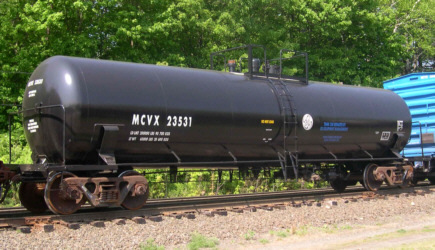 The Safety Train consists of three of the most common types of tank cars in the industry. but it doesn't have to be to carry Chlorine. 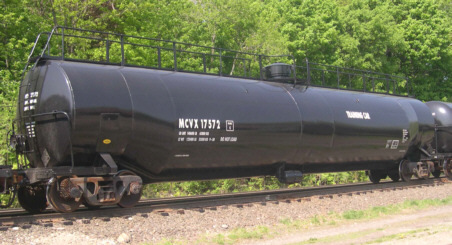 MCVX 17572 is a DOT 112, used to carry LPG or Anhydrous Ammonia. from candle wax to a hazardous material, if placarded. 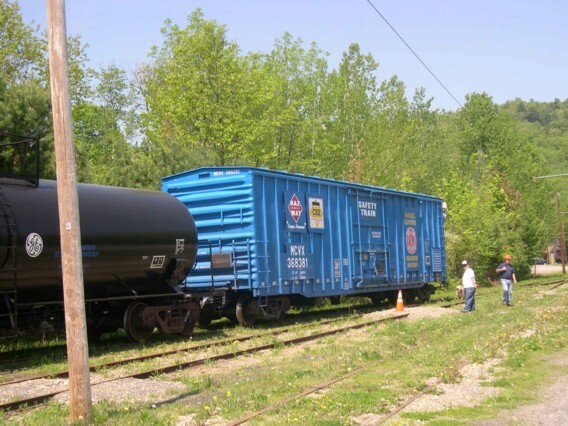 The tank cars are empty and are not used for transporting materials anymore, they are for 'hands-on' training in types of tank cars and their hatches, vents, etc. at Hollidaysburg,PA. 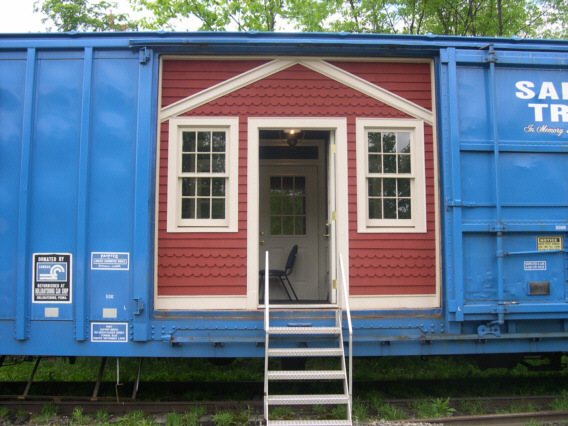 It was built as an insulated box car for beer service. on July 30, 2002 in West Springfield, MA. 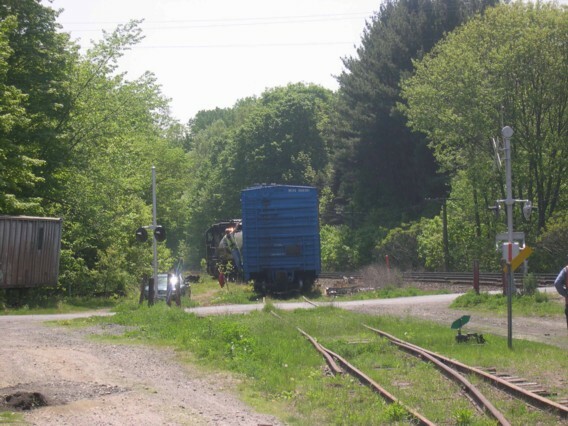 then back onto the train for the shove into the yard. The first move across Elm St on this track since the coach arrived in 1998. Under several watchful eyes the four cars and one engine move up the South Track. John Greene and owner John O'Neill spot the classroom car. 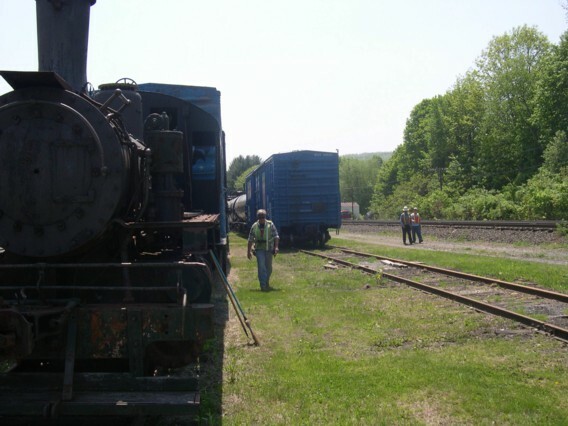 What do you suppose GRS351 and steam 10 have to say to each other? 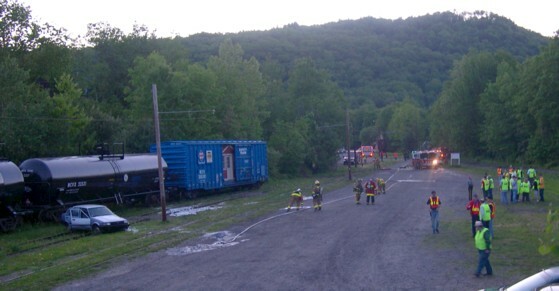 Saturday May 15, 2004 was set aside for training classes for firefighters, police, board of health members, etc. 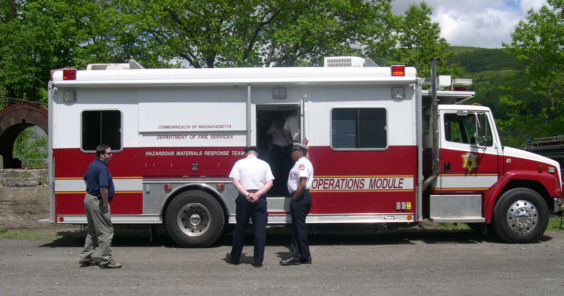 to learn about how to respond to and take care of a hazardous materials incident. The tents are set up, the classroom car is open, here comes No. 10. 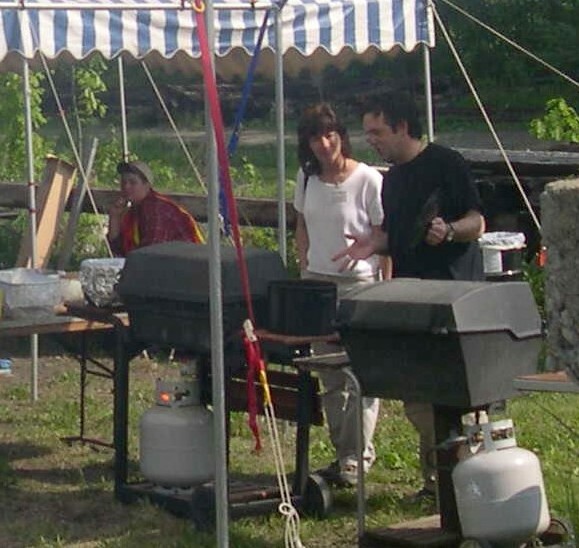 Chef Dane Donato and LEPC director Lisa White check out the BBQ preparations. 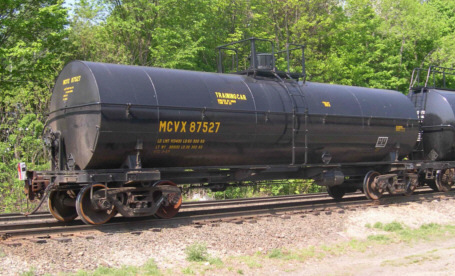 John O'Neill explains the salient details of a DOT 112 "Whalebelly" tank car. 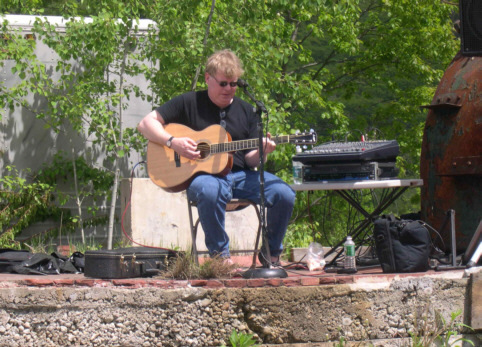 Set up on the old creamery, next to steam 10's tanks, John Mlynick provided music. 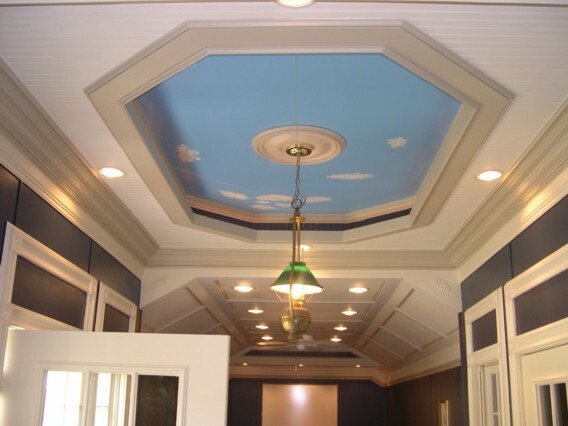 With the plug door open, the entrance looks like a school house. 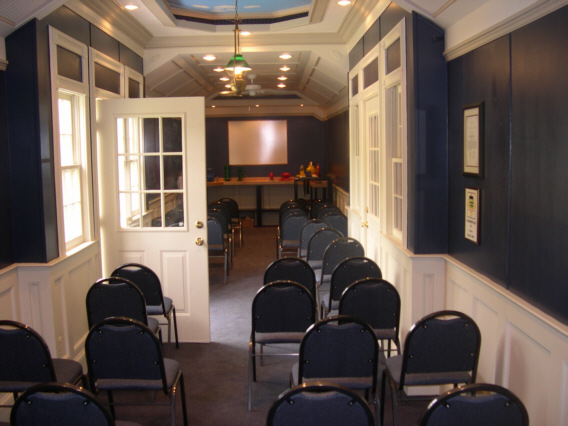 Air conditioned, carpeted and nicely detailed, the car is an ideal classroom for safety classes. 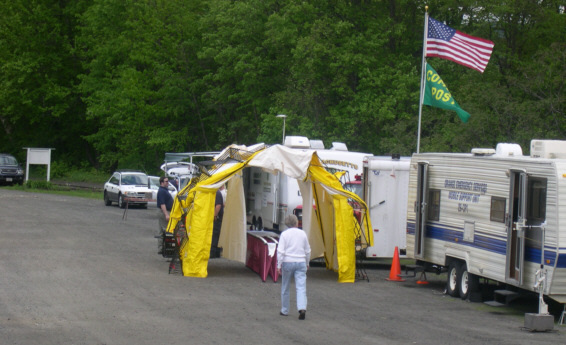 Wednesday May 19, 2004 was the evening set aside for a simulated haz mat incident. Oh, no! 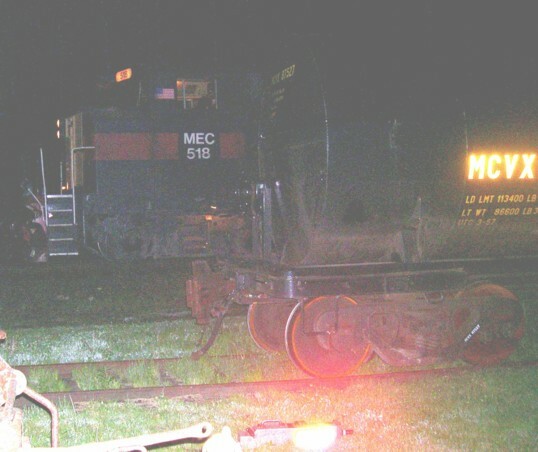 Someone drove into the side of the train! 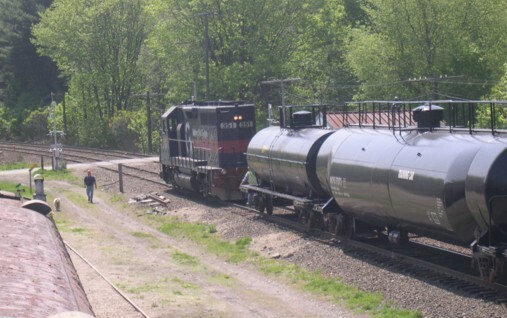 Looks like that tank car is leaking. 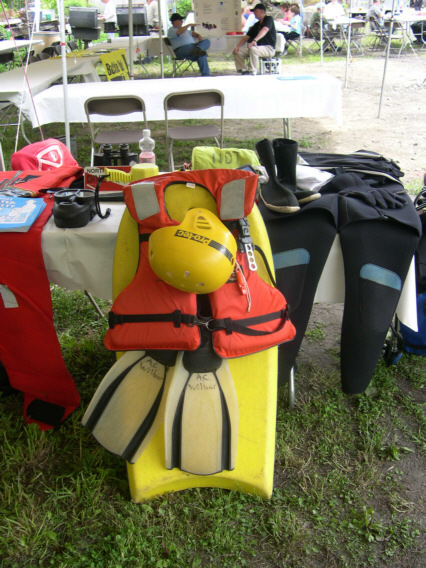 Put on your protective gear, make the area safe for the rescue. Go in and get him. Off to the ambulance he goes! View of the command post at the top of Depot Street. 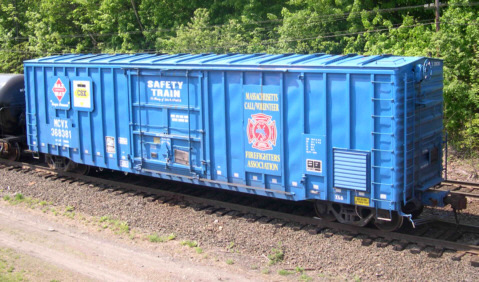 GRS 518 came at 2200 to pick up the Safety Train. All photos courtesy of Sam Bartlett and Nate Bartlett. 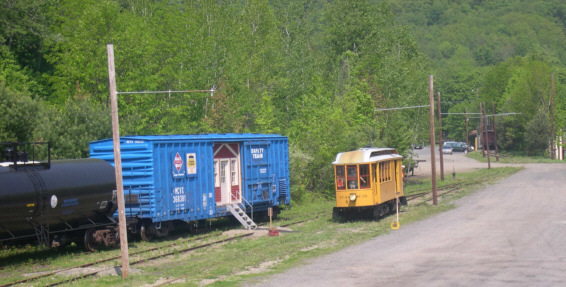 Reuse is encouraged, please credit the Shelburne Falls Trolley Museum if pictures are reused. Higher resolution copies are available, contact us.